Stay at the five-star Park Hotel Vitznau. Explore the Old Town of Lucerne. Picnic under the Jungfrau, a paradise on earth. 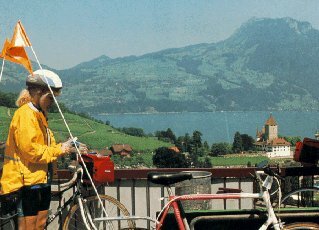 Travel picture of Above Lake Thun.